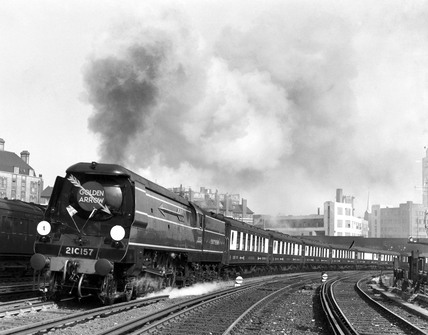 'Golden Arrow' leaving Victoria Station, London, c 1947. Southern Railway Lord Nelson Class steam locomotive No 21C157 (later named 'Biggin Hill') leaving Victoria with a boat train. Photograph by Eric Treacy.